Universities are the largest repositories of domain-specific expertise, diverse talent and human capital. Whereas formal structured coursework typically progresses linearly, innovation occurs through unexpected connections across different concepts that occur largely outside formal structured environments. 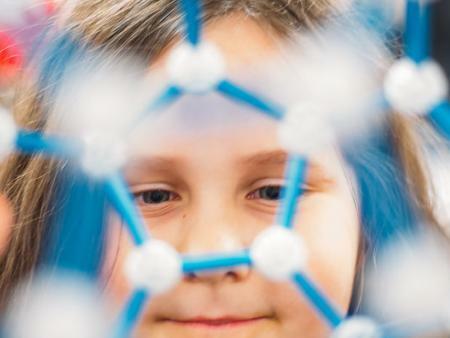 A new collaborative project that brings together The STEAM Factory, OHI/O Informal Learning in Tech Program, and Center of Science and Industry (COSI) has been awarded $1.2M from the National Science Foundation’s (NSF) Advancing Informal STEM Learning (AISL) Program to advance innovative and creative STEM learning. The funded project will connect and prepare researchers from divergent disciplines to creatively and effectively communicate science to public audiences of all ages and evaluate learning outcomes in multiple informal learning settings. The STEAM Factory, which started as a small informal group of junior faculty looking to connect with other like-minded professors, has grown into a diverse, grassroots faculty network that fosters creative and innovative collaborations in research, education and outreach. Located in downtown Franklinton, alongside innovators in arts and technology, the STEAM Factory provides space for scholars to engage with the broader Columbus community through a research-based, informal outreach program. Similarly, The OHI/O Informal Learning in Tech Program, fosters a tech culture at Ohio State and in its surrounding communities through a variety of time-bound non-classroom events and interactive learning offerings such as hackathons. Gopalakrishnan added that a cultural shift toward collaborative problem-solving and divergent thinking from multiple perspectives is crucial for society and academic institutions. Co-PI Rachel Kajfez, assistant professor in the Department of Engineering Education, added that a primary function of public institutions for higher education is to create learning environments that foster self-directed lifelong learning, critical thinking and creativity, and a sense of responsibility toward the community. To engage youth, ages 10-18 in a semi-structured environment, researcher teams will develop and prompt multi-disciplinary challenges during the OHI/O hackathons for middle- and high school students. “Over the last few years, our hackathons and STEAM Factory Outreach have both been successful in achieving high levels of interest among targeted audiences,” said Co-PI Arnab Nandi, faculty director of OHI/O and associate professor in the Department of Computer Science and Engineering. “Being able to scale these experiences and assess the impact of the programs is a tremendous opportunity”. Building on existing initiatives, this project integrates research-based outreach efforts across several Colleges. The College of Food, Agriculture and Environmental Sciences, the College of Engineering, the College of Arts and Sciences and University Libraries are key partners in this collaboration. Partnering with COSI, one of the nation’s largest modern-built science centers, will increase the scope and reach of the new program. Co-PI Justin Meyer, research associate in COSI’s Lifelong Learning Group, will lead the project evaluation effort and the assessment of learning outcomes. Through this program, researchers will engage directly with the Franklinton community, which is one of the most economically depressed neighborhoods in the country, to create awareness and participation in scientific discourse. “We will be working with the Gladden Community House, a multi-service agency that is a hub and essential social support system for Franklinton residents,” said Gopalakrishnan. More information can be found on the project website and The STEAM Factory website.